Upstairs in our children’s bedrooms you will find pastel coloured walls decorated with beautiful murals. We took great care in planning how we would decorate our babies bedrooms. 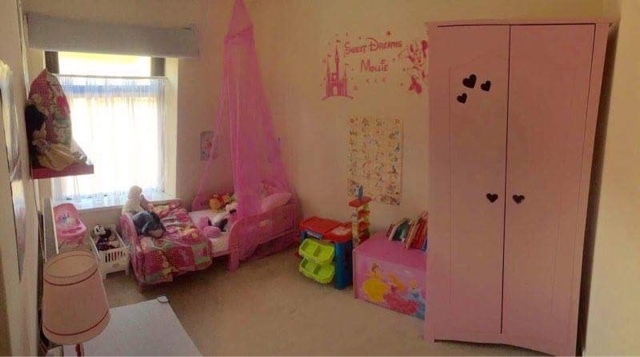 Now my daughter is 4 however we decided that we think she would appreciate a themed bedroom rather than the baby pink room she had. Firstly we decided to take a look at the furniture in her room. She previously had a little pink wardrobe which didn’t really hold a great deal, and it had a shelf on top which limited the amount of clothes we could put in there including long dresses. 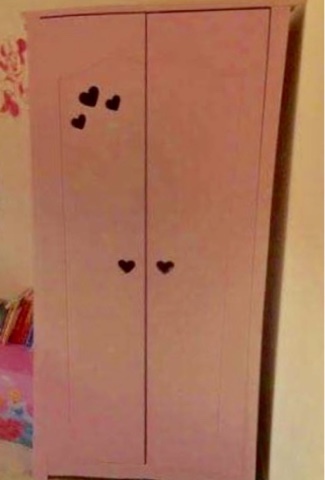 So we recently upgraded her baby wardrobe for a more princess styled one with cut out hearts and while it is still baby pink I think it is definitely more grown up. We also replaced her bookcase with a basket storage unit, where she can keep all of her toys in, and her books on top of the unit, this has created a lot of extra space. Next on the list was her bed, well oak wooden cot bed, we took the sides off it but it didn’t really fit in with the idea that I had in my head, so we replaced it with a pink toddler bed which she just absolutely loves, and above the bed we added a pink princess net. I have also been looking for alternative blinds to go in her room, and I don’t know why but I just assumed blinds are pretty much all the same, one colour, one style really. Having taken a look at the range of blinds that VELUX have I was impressed to find a wide variety of themed blinds including Disney! How perfect for a little princess! They have Bambi, Disney Princesses, Winnie the Pooh, Minnie Mouse and many more. I just know she is going to struggle to choose just one! The only thing left to do now is replace the wall mural and possibly paint or wallpaper the walls and the transformation will be complete! This post has been written in collaboration with VELUX. I love the look of her bedroom. It's so girly! 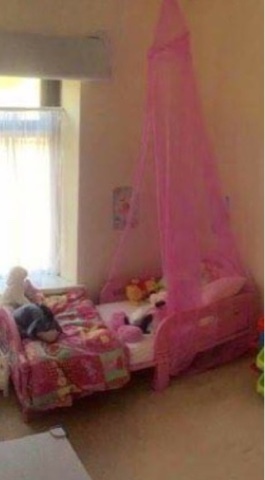 Love the pink net over the bed!